And now, onto the pick of the bunch for Sunday…. With what could be one of the most emotional sets of the entire weekend, our top pick of the day is Lamb of God returning to Download for the first time since Randy Blythe has been a truly free man. With his memoirs due later this year and Lamb of God’s cathartic new album Sturm Und Drang set to detail the pain, tribulations and emotions of the last few years, expect a very special experience in Lamb of God’s company on the second stage on Sunday night. That’s before we even get to the boatload of classic songs like Redneck, Ruin and Set To Fail. The organisers have even made it so you can see some of Motley Crue before legging it over to catch all of Lamb of God, the best of both worlds! While the main stage on Sunday may be lacking in pure balls to the wall metal, it does have an impressive dose of it in the shape of Brazil’s first metal family. With Max and Igor back together on Donington soil seven years after the first appearance of Cavalera Conspiracy at Download where they made bodies fly across the concrete (literally), joyful chaos is guaranteed. Songs like Blunt Force Trauma plus a likely dose of Soulfly and Sepultura classics will ensure any final day cobwebs are blown away. With Alter Bridge currently on a break and Creed seemingly once again dead in the water, Mark Tremonti has been hard at work on a second installment of his popular solo project. With the debut album All I Was very well received, the combination of Tremonti and Wolfgang Van Halen has born fruit on Cauterize, the Tremonti Project’s second album. Having only hit the UK once so far, this is the perfect platform for Mark to expose his side project to a huge audience. We expect them to be a smash hit. Already mentioned above when talking about his very good friend Mark Tremonti, Myles Kennedy returns to Download once again in his “other day job” as singer for the most famous guitarist in the world. Slash’s solo career continues to go from strength to strength and as he, Myles and The Conspirators have now hit arena headlining status in the UK, one day he just might headline the whole thing (as Andy Copping himself has alluded to). Most recent album World On Fire is packed full of great songs plus there will be the obligatory Guns N’Roses mega hits, which have never sounded better coming from Mr Kennedy. File Slash under “can’t possibly fail, unless there are technical issues”. The Gothenburg masters first trip to Download in many years will be one of the day’s most interesting performances. Festivals do not always suit In Flames, particularly playing in the daylight. Song choice too will be an important factor; They have an armada of classic metal songs few bands could hope to achieve but some of their recent work has been far from the peak of their powers. It is impossible to predict which In Flames will show up on the day, we’re hoping it’s the one who can be one of the world’s greatest metal bands when they want to be. Danny Worsnop (formerly of Asking Alexandria)’s other band suddenly became his main concern after his shocking (to those not in the know) departure from the British metalcore outfit last Summer. With the release of We Are Harlot’s debut self titled album earlier this year those days seem a long time ago as Worsnop, along with Jeff George (formerly of Seb Bach’s band) have crafted a modern rock masterpiece and this is the UK’s first chance to see ‘Harlot in the flesh. We suggest running quickly from Tremonti to these guys for what could be one of Download’s best debuts this year. It’s their final ever UK festival performance (though not their final ever UK show, as an arena tour has just been announced for November with Alice Cooper). Regardless, you would bet on Motley Crue saying goodbye to Donington with a performance worthy of the band’s history. The band who epitomised the entire glam rock and metal approach and lifestyle are sure to get a heroes welcome as they play the hallowed Donington turf for the final time. They’ve got stiff competition in the shape of Lamb of God (as mentioned above) so they need to be on their A game. We reckon they will be. Girls Girls Girls anyone? St Albans’ finest electro-metal wizards are back to headline the second stage at Download for a second time! Having previously done it when Iron Maiden were here in 2013, this year sees them offering healthy stylistic competition for KISS. The band have been on a tremendous run of momentum recently with their biggest ever UK tour at the beginning of 2015 a virtual sell out, and their album The Mindsweep is set to feature prominently on many end of year lists, despite being released in January. We expect many to watch Shikari and then mosey over to catch some KISS classics – be grateful the scheduling allows us all to do both. Only added to the line up at the last minute, Lowestoft’s finest rock outfit The Darkness will be showing off tracks from their new album Last Of Our Kind as one of the secret bands in the Maverick Tent on Sunday afternoon. We’re pretty sure there’ll be a classic or two along the way (I Believe In A Thing Called Love is surely mandatory). With the new album being hailed as the best since Permission To Land over a decade ago, The Darkness are back and seemingly here to stay. Many class this as a bad thing, we’re not among them. For lovers of thrash metal, the prospect of having the festival closed by Suicidal Tendencies must have seemed like a pleasant dream. But that’s exactly what is going on at Download 2015. Whilst vocalist Mike Muir is the only original remaining member, that does not detract from the power and intensity of their music with songs like Institutionalised or their live performances. For those who don’t class KISS as their cup of tea, Suicidal Tendencies may be the perfect way to end Download 2015. 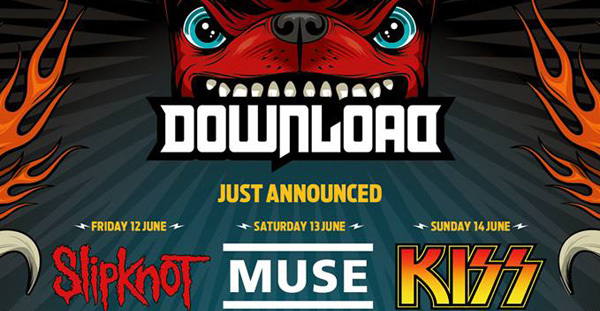 So there we are – the end of our Download Festival previews for another year! Anyone needing last minute tickets please head to the official festival website www.downloadfestival.co.uk and purchase your tickets – they will be collectable at the box office at Donington. For up-to-the-minute updates from Donington please follow both the official Download account and Rock Sins on Twitter at @DownloadFest and @Rocksins.